When the show started, I felt kind of emotional for some reason. It was like a rush of realisation: I’m actually seeing a Disney Broadway musical! I think it was the best part of the whole show. Well-designed and cleverly arranged for some quick scene changes, and a thin screen that drops down for certain scenes to create a misty/vague effect.The transitions between scenes were also quite nicely done; there were parts where I didn’t even notice exactly when they switched backdrops. Nothing incredibly fantastic, but quite effective. I particularly liked the costumes for Lumiere, Babette (the featherduster) and Cogsworth as well as most of the other stuff during the Be Our Guest sequence. I didn’t like the salt and pepper shaker costumes though. They looked nothing like salt and pepper shakers, apart from the ‘S’ and ‘P’ letters. Could have been better. Especially during the Beast’s transformation scene. It just wasn’t magical enough for my liking. Nice twinkling lights for stars in the night sky, though. And nice use of extra spotlights to put just enough emphasis on the main characters in mass scenes – e.g. Belle in Belle (the marketplace sequence) and Lumiere in Be Our Guest. Okay. Done with the basic design commentary. Belle (Ashley Oliver) has really large eyes and a nice voice. Gaston (Ben Harlow) has an expressive face, but I think I’m too accustomed to the Disney movie voice – Harlow’s voice wasn’t as deep. He also gave off a somewhat sissy air at times, which was probably due to all that posing and strutting around. I put it down to a direction and script issue. Sigh. Also, and far more irritatingly, the Beast (Matthew Cammelle) wasn’t really terrifying and imposing; he was more childish. I really didn’t like that change of character. But again, it’s more of a problem with the script and the director, so can’t blame Cammelle. Lumiere (Ben Stock) was very exuberant, and was just about my favourite character in the musical, but I didn’t really like how the script made him so very flirtatious. He also seemed to slip in and out of his French accent at points. Luckily the sheer energy of his performance (and the amusement I derived from Lumiere snapping his candle flames on and off at appropriately funny moments) made up for the bits I didn’t like. Cogsworth (Ashley Knight) was rather outshone by Lumiere and/or Mrs Potts (Tania Newton) in most of his scenes, but he was funny in his fussy, always-worried persona. The three silly girls who were always swooning over Gaston were really hilarious with suitably high-pitched voices and typical “bimbo” behaviour. Good performances from them (Lucy Harrison, Lauren Godbold, Helen Patching). I liked it for the most part. The extra songs written for the musical version of Beauty & the Beast were nice. I just thought the extended sequence for Gaston – with the metal mug dance – was a bit too long. And I wish they hadn’t included the womenfolk of the town in The Mob Song. It just didn’t have the same thundering oomph as it would have had if it had been sung by the men only. This just had to happen at the climactic transformation of the Beast scene. I felt sorry for the cast (and even sorrier for them now after hearing Terry’s account of the afternoon show – but I’ll get to that later). Beast was supposed to rise into the air, but somehow he didn’t. He just sort of hung there a foot or so off the ground. 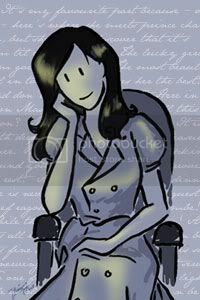 The spotlights around his figure and Belle’s were dimmed at that point and other lights were swirling around, but could just barely make out the silhouette. I half-thought that that was intentional, but then suddenly all the stage lights went out and they announced that due to a technical error, they would have to delay the performance a little. Fortunately for them, the crowd was a very civilised one and no one started to complain loudly or boo or anything. There was just a lot of somewhat amused chuckling and chatter while we waited. And when they resumed the scene, people clapped, which I thought was a really nice thing to do. According to Terry, who went to see the afternoon show, his show started over an hour late – apparently due to a problem with the motors that operated the stage backdrops and stuff. That might have explained the problems with the flying contraptions. I think there must have been some similar problems at the premiere of the show because The Star’s report of it also mentioned a “slight technical glitch towards the end of the show.” Sounds like the KLCC people might be in trouble for all these issues with the motors. Be Our Guest was my favourite sequence (the huge champagne bottles spewing sparkly ‘liquid’ [fireworks la] at the end were cool! ), Lumiere was my favourite character and – oh, that reminds me… When the cast came out to take their bows, Gaston and Lumiere got the most applause. Belle and Beast got as much applause as those two did, but considering that Gaston and Lumiere are not the main characters, I’d say it was fairly clear that the audience found them the most entertaining. For all the little things I didn’t like about it, there was a great deal more that I did like. 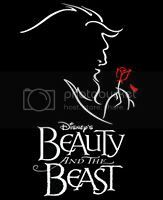 For a couple of hours I just lost myself in the Disney-esqueworld of Beauty & the Beast, was immersed in song and dance and the charm of the stage, and had a thoroughly good time. Hey, you went on which day? I went on last Saturday with Siew Voon and the rest of the gang and the same technical glitch happened. Hehe. There could be an alternate ending to it you know… what if the curse could not be broken. Have almost the same thoughts with you over the whole show. Set design, Lumiere, Be my guest! Anyway, I bought the charm bracelet quite impulsively but I really liked it! Hehe. We were in the same show! I was there Saturday night. Hahaha. Yeah… will blog about it (not too sure when), and you can see the charm bracelet. I still think… that Belle’s speaking voice was a little to sharp and squeaky.